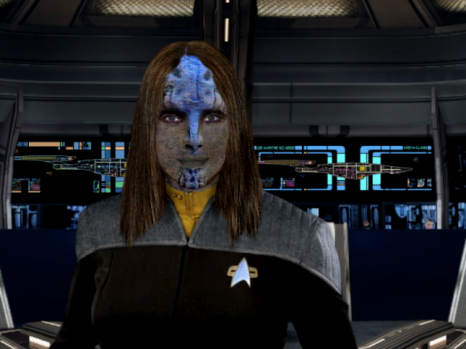 Kedair emigrated to the Federation from her homeworld in 2365 and was accepted at Starfleet Academy. She was surprised at the vulnerability of other species, having previously assumed all species shared a similar internal organ structure to Takarans. While at the Academy, Kedair recognized her calling in life was to protect those weaker than herself, and so chose security as a specialism.